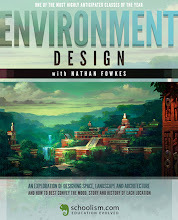 Nathan Fowkes Art: Color Concepts 1 day Workshop and Sketching from Life 10 week course. Color Concepts 1 day Workshop and Sketching from Life 10 week course. If you're in the LA area and want to refine your color and drawing skills, you're welcome to join me for a couple of upcoming events. 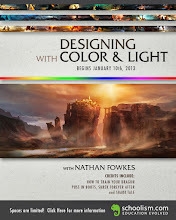 The fundamentals of color theory for painters and digital artists. The emotional impact of various color combinations to create mood and environment. Principles for organizing the complexities of color into pleasing harmonies. Painting from a costumed model. Also coming soon is my 10 week sketching from life course. It will be held each Monday night from 7 to 10 pm starting on May 12th. 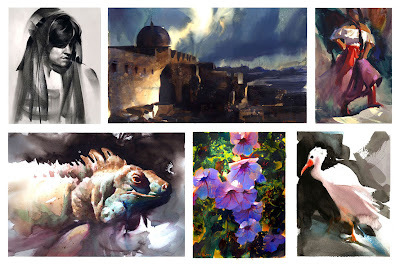 For this class we'll study the head, figure, drapery, costume, animals and still life as well as a weekend field trip to study landscape painting. Charcoal, watercolor and ink will be demonstrated though students will be welcome to use the medium of their choice. 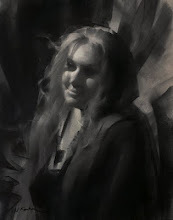 To enroll contact the Los Angeles Academy of Figurative Art at 877 LA-Atelier. Their site is www.laafa.org.